This Christmas, ReelOutreach is putting together movie themed gift baskets for children in our local hospitals. 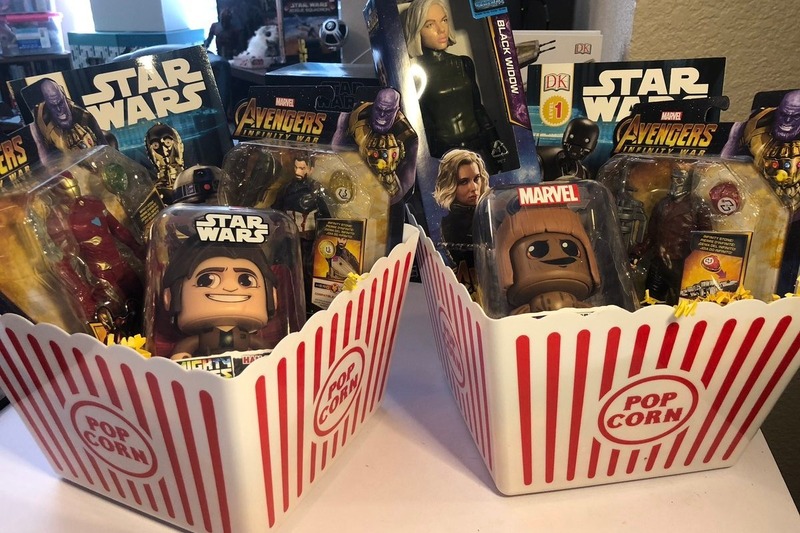 Comprised of leftover toy/book donations generously given by Hasbro & DK over the last year for our various screening events, we're adding the basket and Movie Theater gift cards as well. This way, the families of those kids can still enjoy a night at the movies, just whenever is convenient for them. We need your help to finish putting them all together and we don't have much time to do it. The local Children's Medical Center needs all Christmas donations in by the middle of the month so they can have time to sanitize/disinfect them as necessary for the child patients. Which means we have to work quickly to get as many of these together as possible. Each basket takes $30 to assemble, and that's all we're asking from movie lovers like you. For a $30 donation, you'll be BUYING one of these gift baskets for us to take to the hospital. These are YOUR gifts to the children and will include your name (if you choose) on the basket you buy when we deliver it to the hospital. All we're doing is putting them together and making sure they get in the hands of these kids who need them this Christmas season. If you're unable to afford the $30 gift basket, that's okay! Even a $5 or $10 donation will go towards helping us build these gift baskets. It's a race against the clock, as we're hoping to deliver as many as possible by the hospital deadline. We're crossing our fingers we can get at least 20-25 put together, but would LOVE to be able to deliver much more than that. Thanks for your help and all the support we've seen in our first year of operation!